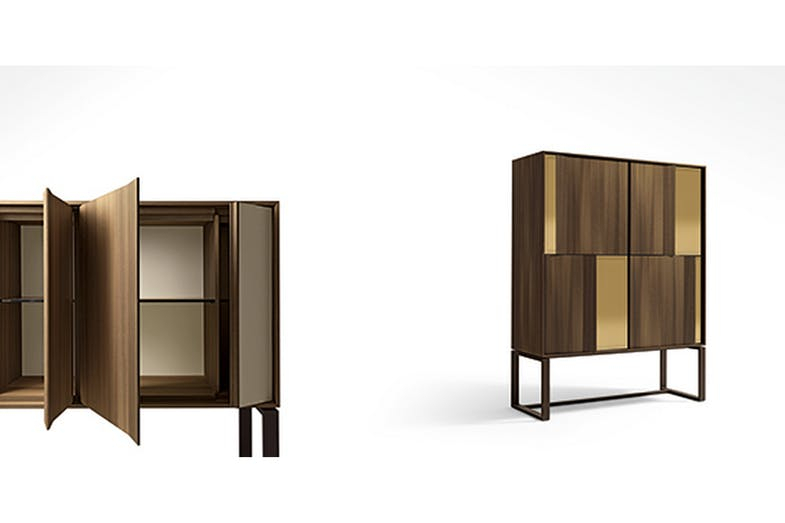 Square tall or rectangular low cabinet with the structure in mdf and smoked eucalyptus (fin.13) veneer. 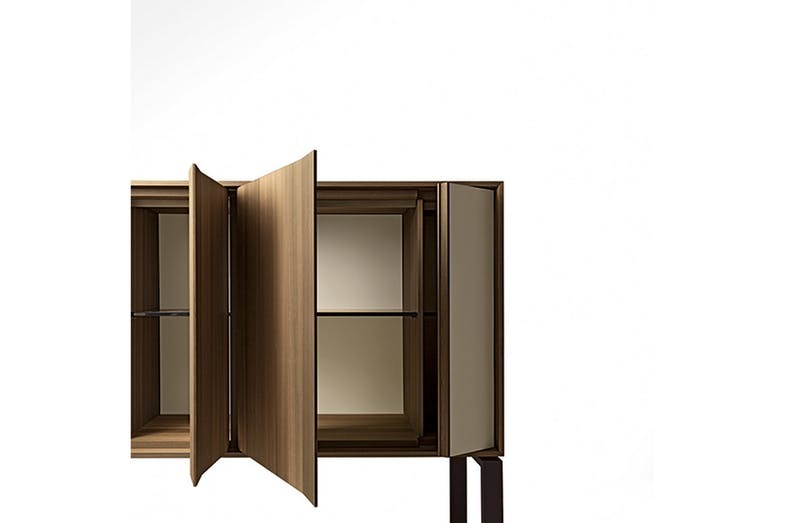 The front part with overlapping doors can have three different combinations, with the external door in wood and the internal one in wood, glass or saddle leather. 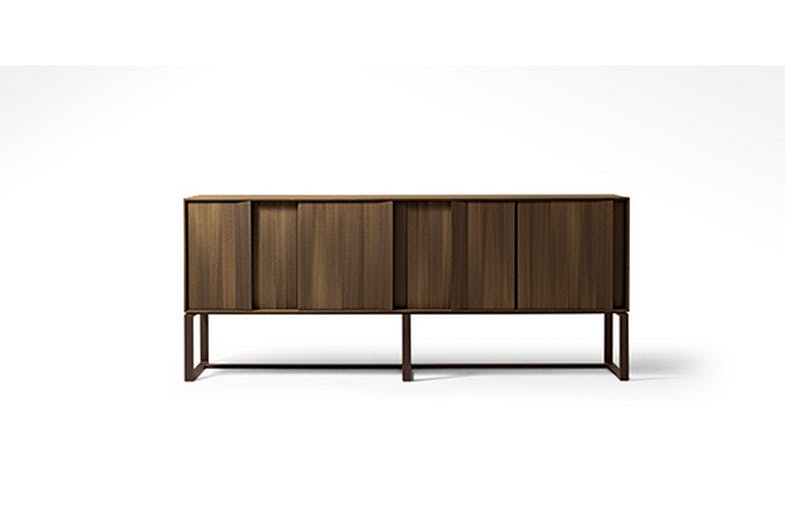 The door handles and the glass door frame are in solid smoked eucalyptus (fin.13). 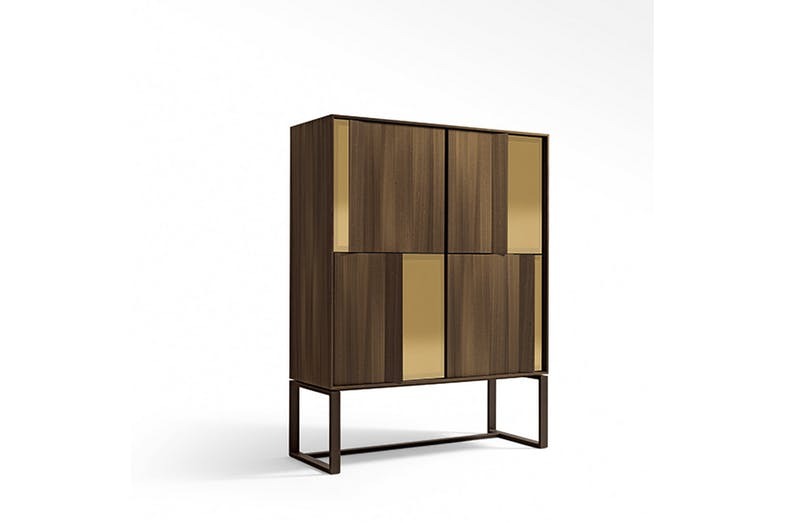 The glass door is in reflecting gold crystal on the external part and in satin-finished gold crystal in the internal part. The internal shelves are in bronze tempered crystal glass. All internal compartments have LEDs with a fading switching on and off sensor. The metal base is painted in a bronze colour and the feet can be adjusted for levelling.